Can you explain your program data? P-Cards help end-user organizations streamline the purchase-to-pay (P2P) process for goods and services, especially low-value purchases. Organizations no longer need to push everything through the procurement department for a purchase order or through AP for a payment. Are you realizing the related benefits? Measure the following to quantify the impact of P-Cards. Savings due to procurement switching their focus from POs to strategic sourcing, vendor management, etc. Using key metrics to evaluate your P-Card program is an important piece for achieving success. If your organization has an electronic accounts payable (EAP) program, rebate earnings would still apply. Also evaluate how it has reduced check volume, lowered costs (e.g., less check stock, envelopes, postage), and impacted days payable outstanding (DPO) to support financial goals. Verify that things are working as planned with enrolled suppliers and look for additional suppliers to enroll. Calculate your P2P process cost for P-Card and traditional processes (e.g., PO plus check payment). For each process, this involves documenting each step, determining who (the job role) performs each step, how long each step takes and the associated labor cost. Also include any hard-dollar costs, such as those related to traditional processes: check stock, envelopes and postage. While these calculations can be time consuming to complete, they are extremely meaningful and only need to be redone if something changes. If the P-Card P2P process cost is not notably lower, then it is likely filled with extra steps that should be removed, such as pre-purchase approvals. Subtract the P-Card process cost from the traditional process cost to quantify the P-Card savings per purchase/transaction. Per the 2014 Purchasing Card Benchmark Survey Results by RPMG Research, the average process savings is approximately $70 per P-Card transaction when compared to traditional PO payment methods. To calculate the monthly or annual savings, multiply the number of P-Card transactions by the P-Card savings per transaction. P-Card process efficiencies and savings lighten the load for procurement and accounts payable, allowing for staff reductions and/or staff to be redirected to value-added activities that can result in additional savings. For example, procurement can concentrate on negotiating better deals with key suppliers. Learn more about P-Card benefits, including how process savings compares to rebate. Are P-Cards being used for the targeted purchases? Ensure you have a clear payments policy to support your goals. Are your P-Cards fully utilized? Measure the following to help you gauge success. accepts cards, train applicable staff on P-Card usage and quantify the missed process savings; see also tips for promoting the program (“be visible”). does not accept cards, educate the supplier on the benefits and work toward converting that supplier to P-Card. Also ensure cardholders are not challenged by overly restrictive card limits and merchant category code (MCC) blocks that prevent them from using the card as intended. If they encounter too many declined transactions for legitimate purchases, they could stop using the card altogether. As a best practice, ensure your organization defines inactive as part of its policies (e.g., nine months of no activity) and has procedures for taking action. The internal agreement that employees sign prior to obtaining a card could also include a stipulation that your organization reserves the right to close inactive cards. For each inactive or under-utilized card, determine the root cause. Are card limits overly restrictive, as mentioned above? Adjust as necessary. Maybe a particular department has too many idle backup cardholders, so some accounts should be closed. Maybe cards are in the wrong hands (employees who do not initiate purchases), so close these accounts and initiate a P-Card for the right employees. Some inactivity issues could also be resolved by retraining cardholders on P-Card utilization. If your rebate incentives include the statistic of average net spend per card (total spend divided by average number of cards), all the more reason to address inactive and under-utilized cards. See also a blog post dedicated to preparing for, and addressing, inactive cardholders. Effective program management includes monitoring for compliance and taking appropriate actions, which might be a shared responsibility with internal audit. Note: The first two were described as time-wasters in a related blog post. 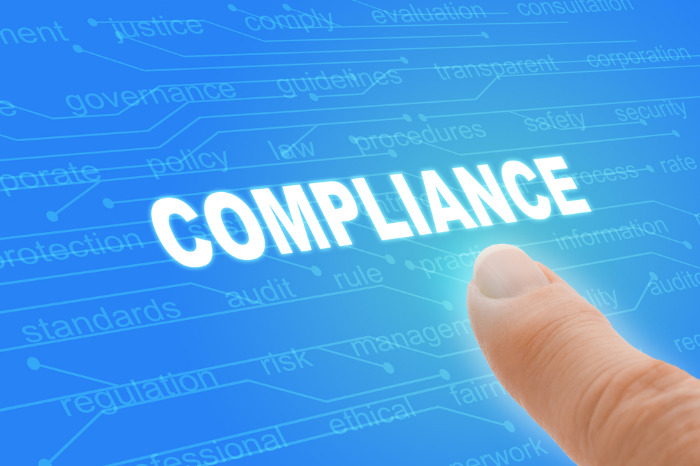 Improve compliance metrics through effective preventative controls and auditing. Metrics tip: Compare your program metrics to industry benchmarks; for example, research from RPMG Research Corporation, PayStream Advisors, professional associations, industry providers, etc.